Discover the power of managing time effectively on Wednesday, June 4, from 9:30 am - 12 pm at the Parsippany-Troy Hills Public Library. Linda Trignano, communications coach and consultant, will present Time Management Magic to provide insights into understanding how simple changes can bring about dramatic performance improvements. 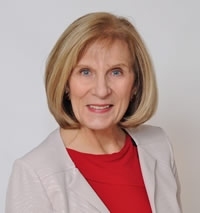 Through her firm Trignano Consulting, Linda provides coaching and consulting to individuals and business groups to improve their performance through effective communication skills training. Areas of practice include career coaching, training and developing and coaching groups and business managers to enhance their communication skills. She is a member of the American Society of Training & Development, the NJ Association of Women Business Owners (NJAWBO), and Women in Computing. She holds a MS in Management -Training, from Montclair State University, a BA in Communications from Ramapo College, Human Resources Certification from Rutgers University, Project Management Certification from Stevens Institute of NJ, as well as a coaching degree from Coach University, CO.
Additional information is available at www.TrignanoConsulting.com. Photo courtesy of Linda Trignano.